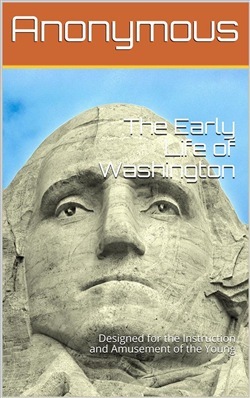 The following is a narrative of him - George Washington, who has been justly styled “The Father of his Country.” It comprises the first twenty-seven years of his life. Though this is the least brilliant portion of Washington’s life, it is a valuable portion of it; because it exhibits those traits of character which laid the foundation of his future greatness, and are worthy the attention and imitation of youth. The author, in remarking that he has drawn his information from the most authentic sources, acknowledges his obligations to the works of Weems, Ramsay, Marshall, and M’Guire, and especially to the valuable notes and observations of Sparks. Acquista The Early Life of Washington / Designed for the Instruction and Amusement of the Young in Epub: dopo aver letto l’ebook The Early Life of Washington / Designed for the Instruction and Amusement of the Young di Anonymous ti invitiamo a lasciarci una Recensione qui sotto: sarà utile agli utenti che non abbiano ancora letto questo libro e che vogliano avere delle opinioni altrui. L’opinione su di un libro è molto soggettiva e per questo leggere eventuali recensioni negative non ci dovrà frenare dall’acquisto, anzi dovrà spingerci ad acquistare il libro in fretta per poter dire la nostra ed eventualmente smentire quanto commentato da altri, contribuendo ad arricchire più possibile i commenti e dare sempre più spunti di confronto al pubblico online.